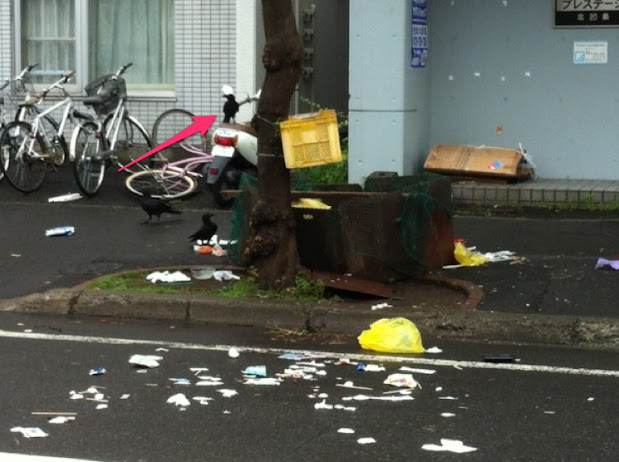 Ever wonder what would happen if the Sapporo crows really did get into the garbage? Imagine if 3 year olds became city workers. And then one tried to steal your motorbike. Welcome to the real meaning of 'Skynet'. Haha! 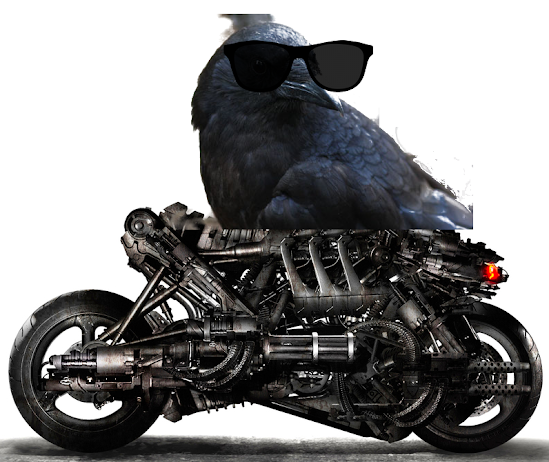 I love your photoshop/paint karasu. Those birds are one of my favorite things about Sapporo. .... Your favourite thing about Sapporo are the giant birds that would eat you, soon as look at you? Is it because they are the same size as a cat? Hmmm.I guess they are cat- sized. And I do think they're cute. They act tough, but still...they're birds. They've got nothing!